This University of South Florida web site contains links to the article "Tiny Toxic Terrors: Harmful Algal Blooms" and four computer-based activities that teach students about various aspects of red tide. 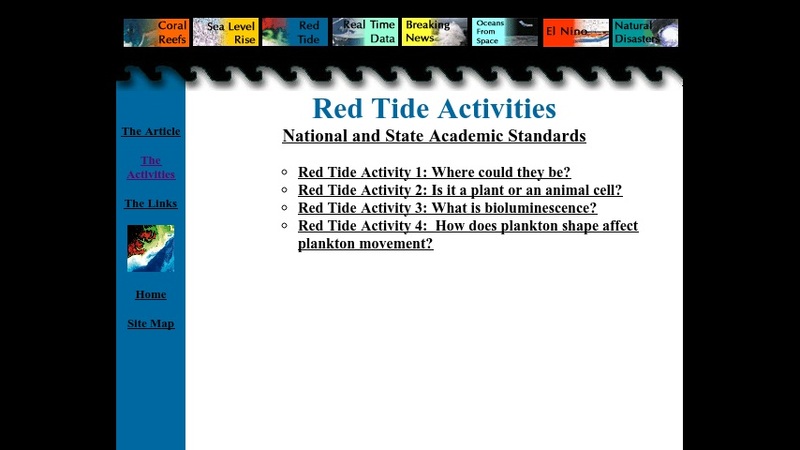 Activities include: "Where could they be?," "Is it a plant or animal cell?," "What is bioluminescence?," and "How does plankton shape affect plankton movement?" Each activity contains hyperlinks to pertinent materials, maps, and information to complete the activity.